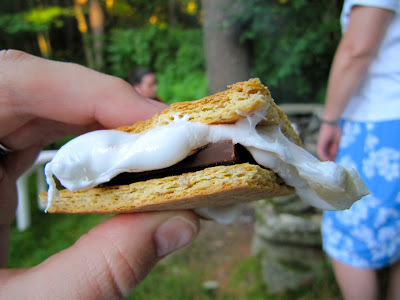 I finally figured out why they are called s'mores. 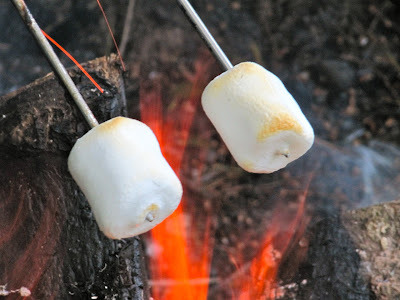 After a few beers, bean dip (with sour-cream and cheese of course), two pieces of pizza, macaroni salad, potato salad, a hamburger, and a cookie, I needed to add s'more inches to my hips and thighs, s'more sugar in my system, and s'more food to go with s'more beers. I actually only like the marshmallows....I'm weird like that.. I think you're onto something with that ..... LMAO! always room for s'more sugar, silly! Fran and I are LOAO over this! How true!